I was 13 or 14 at a junior high school dance in L.A. (where I grew up) the first time I heard Kraftwerk’s Tour de France. I loved it immediately. It was a strange and wonderful music from Germany; a far away, exotic land. It wasn’t played often on the radio, only during late night ‘European Chart Import’ shows. I remember lying in bed waiting for it to come on. I’d have my cassette in my boombox ready to hit record. I’m sure there is an old tape in my parent’s garage somewhere with a grainy Tour de France recording on it, followed by a K-ROQ radio station identification blip. 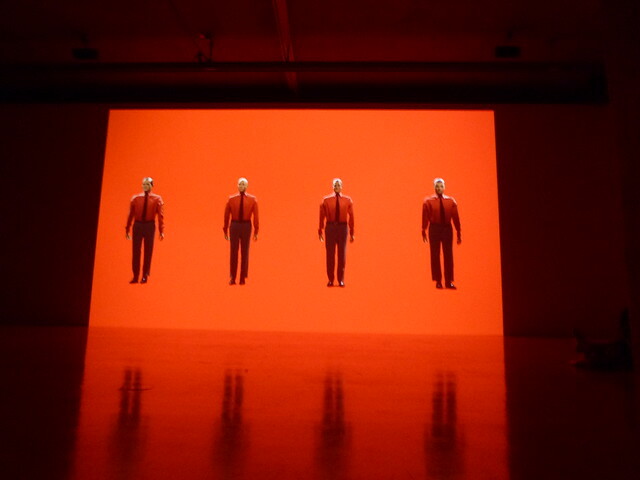 So watching the Kraftwerk 3-D Digital Installation at the Lenbachhaus Kunstbau last Tuesday night felt kind of strangely sentimental. It was also mind blowing. The sound was incredible, the 3D effects were great and the setting was fantastic. The Kunstbau is a long narrow space that sits right above the Königsplatz U-Bahn station. 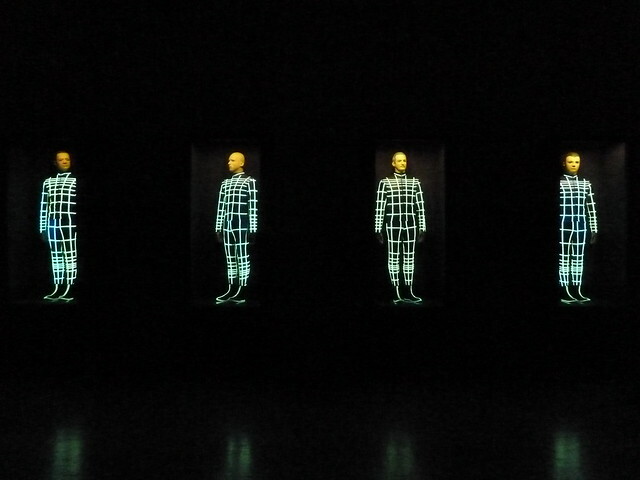 If you are a Kraftwerk fan you will have an even deeper appreciation of them after experiencing this exhibit. 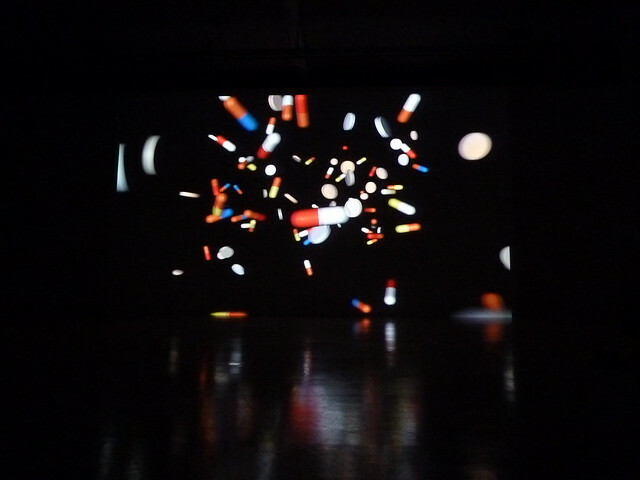 What struck me most while listening to the music and watching the simply rendered, modernist video objects float out from the screen towards me was how far ahead of their time and influential they’ve been. Listening to the music, much of which came out in the early 80s, I couldn’t help but think of everything from cheezy 80s dance music like Debbie Deb to Daft Punk to LCD Sound System. Later that night I learned that after James Brown, George Clinton and Funkadelik, Kraftwerk is the third most sampled band in the world. I also learned that Kraftwerk is from Dusseldorf – Dusseldorf!?!!? I don’t know why that surprised me, but it did. I guess I expected Berlin or Frankfurt or something. Regardless what German city they come from, they are DEUTSCH. Their music not only brings to mind modern electronic music, but also Bach! It is mathematical, mechanical and precise. 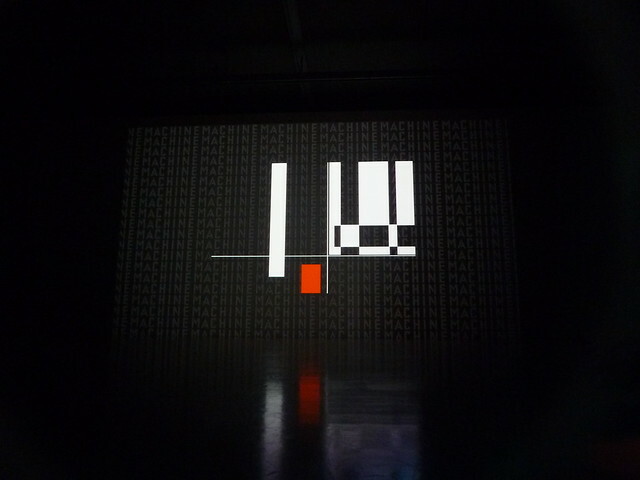 Watching the videos also illustrated how Kraftwerk were pioneers in a minimalist digital design aesthetic that is just part of the scenery today. I could go on and on about it, but it would not do the exhibit justice. Go see it for yourself, but hurry it ends on November 13. More pictures, including one of me looking like a cyborg with my 3D glasses on, here.